Is Your Painting a Fun Road Trip...or a Red-Eye Flight? I spent part of March in Arizona and Utah, enjoying some much needed family vacation time and teaching a two day workshop in Prescott, Arizona. Do you enjoy travel? I yearn to travel, and life is exciting when a trip is on the calendar! This trip was an adventure, as every year our children get a little older, and the things we can choose to do as a family becomes more varied. One of the highlights was the ATV trip we took into the wilds of southern Utah. While my husband and kids enjoyed racing up and down the sand dunes, I would have been perfectly happy to set up my palette overlooking their playground, and paint the view spread before me. I think a good road trip is a lot like a good painting session. 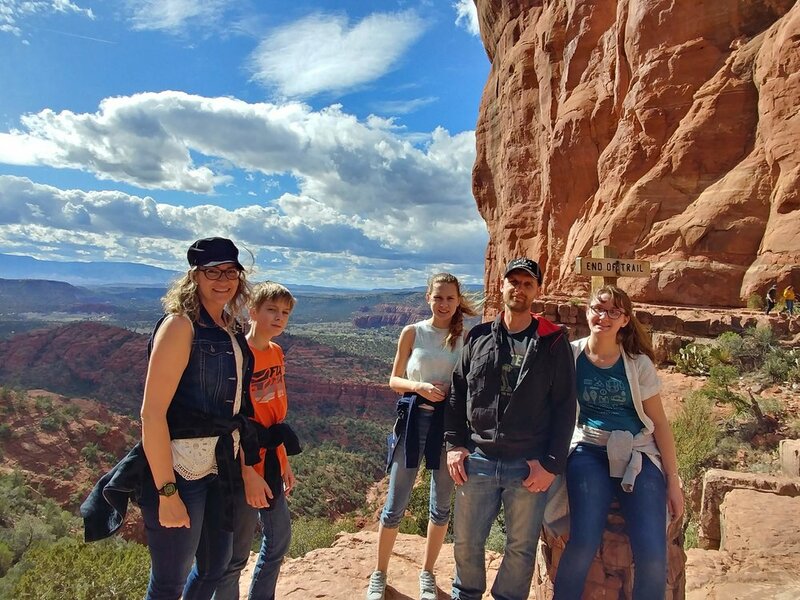 As we planned our Arizona vacation, many of our friends who had wintered in Arizona had advice on where to go and what to do. 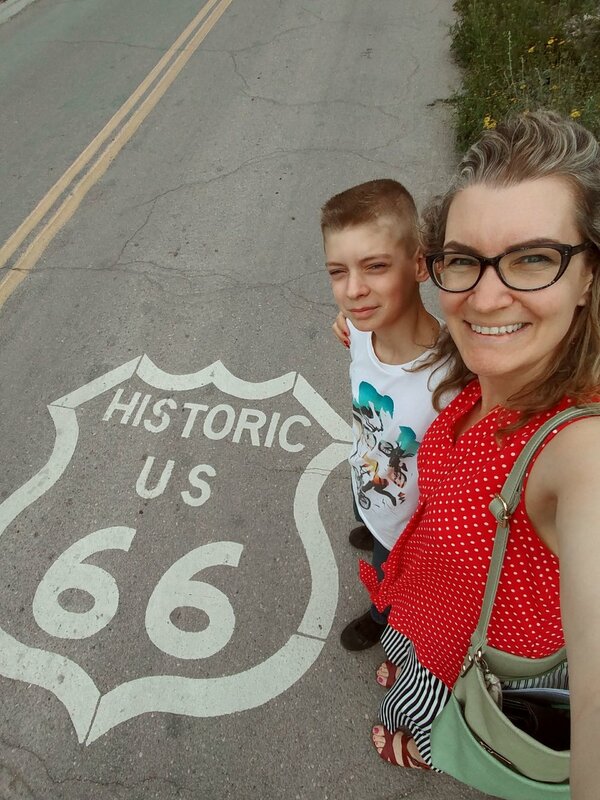 We did research, and made some plans, but once we set out, flexibility became essential from the moment we left home, as we started our trip with a canceled flight that tripled our travel time. Once we finally touched down, picked up our rental car and hit the road, we were not solely bound by the map and our game plan. We would start with a loose plan for the day but made time to stop the car to engage unexpected adventures. We avoided the interstate and drove along scenic byways. We took breaks and indulged ourselves with treats and lingered over a good meal, not merely hurrying to arrive at that day’s destination. Sometimes we got lost. We were traveling with family, in two vehicles, and one day we got separated in a small tourist town. Our phones weren’t working, way up in the mountains, and without communication, we rushed to back track and see if we could anticipate where they would be looking for us. It was less than an hour, but I felt later like we missed out on the beauty of that small town because of the anxiety of trying to find our way again. When I start a painting, I begin in much the same way. I do my research; reference photos, value studies, time spent developing my skills and expression. I study work by other artists and am influenced by their diverse styles. I have an idea in my head for how the final painting will look. When my brush touches the paper, I start my painting “road trip,” and the quality of my journey is going to be powerfully impacted by my attitude toward what is happening on the paper and my willingness to adjust my plans to accommodate new directions. To delays - do I see them as an opportunity to rest? Or simply frustrating obstacles? To changes - when the path you thought you’re on takes you in a different direction, do you expend time and energy trying to backtrack to where you think you need to be, or are you open to a new direction? To freedom - do you recognize that the journey is more valuable than the destination? What would it look like if you were more interested in the quality of the process than your idealized outcome? Would you take your time and enjoy the act of painting in a fuller way? Would it be easier to listen to what sparks joy in your painting process - the brush strokes and colors that make you most satisfied? Would it feel less risky to put brush to paper if the goal was not a perfect painting but an enjoyable experience? Don’t feel like the two are mutually exclusive; you can have a successful painting outcome and an enjoyable process both in the same painting. But…if you are stifling the creativity of the process in a drive to produce technically competent paintings, you might succeed at your first goal, but the life in the painting will suffer. One of the reasons I love travel is getting to see new places through my own eyes. In painting, we show who we are in what we create, if we can get out of our own way and let the painting be an expression of the heart. Embracing the messy, circuitous route of artistic discovery is a big step toward successful self-expression.